If you want to inject a little humor into your wedding, you’ve come to the right place. Who says weddings have to be conservative and serious? If you’re a couple with a sense of humor, then your wedding should definitely reflect that. Ofcourse you can have funny wedding vows but If having funny wedding vows is not enough for you, check out these 5 funny wedding ideas. This adorable (and funny) idea is the perfect way to get some unique pictures of your bridesmaids. 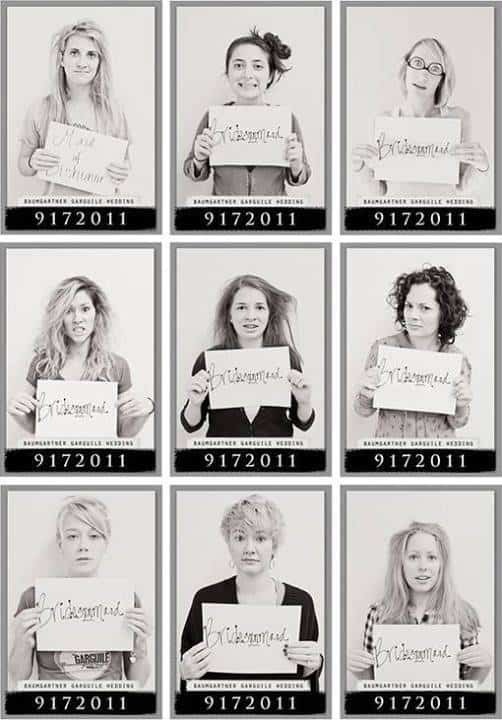 The photos are taken like mugshots, with each bridesmaid holding a sign with her title. This couple definitely has a sense of humor, although it’s pretty romantic as well. 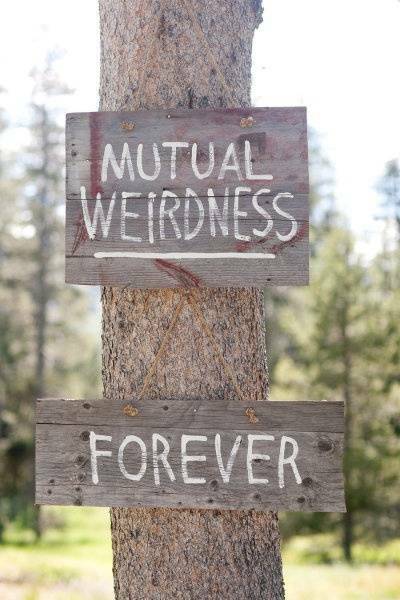 This sign tells their guests exactly what they feel and plan: mutual weirdness forever! At first glance, it looks like this funny couple is making a crude gesture but after looking closely, you see that they’re just showing off their wedding rings. This is a cute idea for the edgy couple that loves to make people laugh! Photo props are a great way to get some hilarious pictures during your wedding. 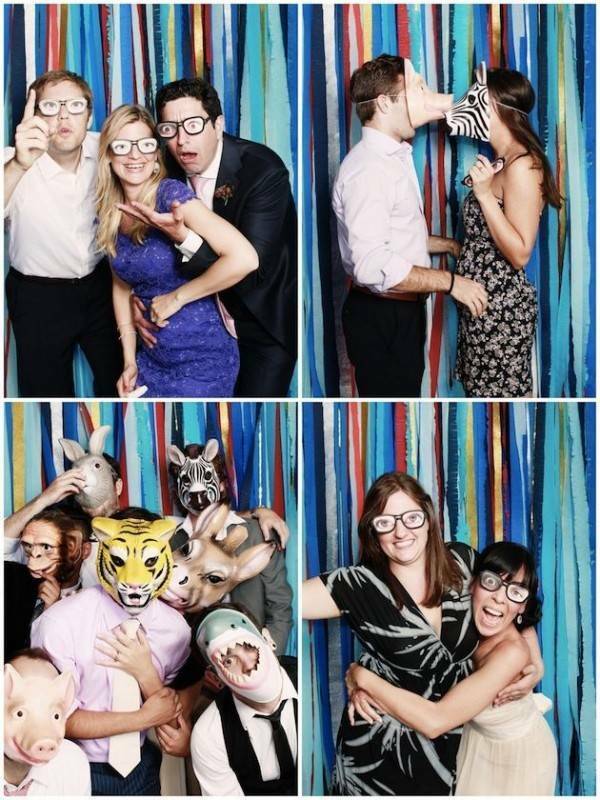 They’re also the perfect way for your guests to cut loose a little and act silly! 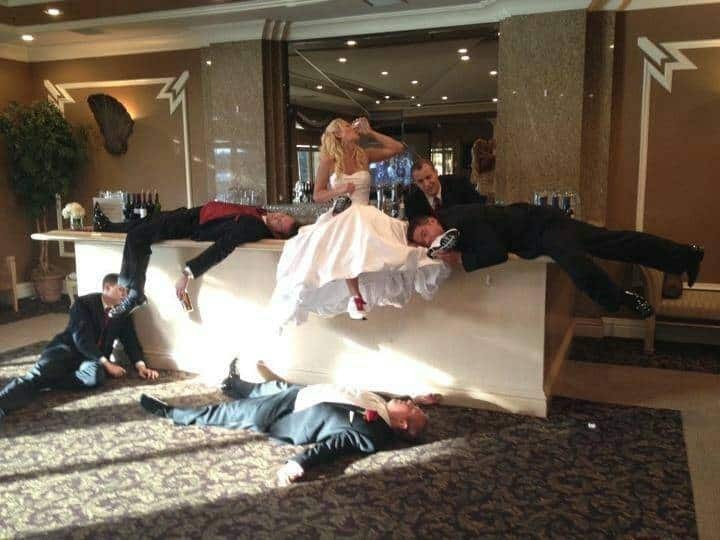 This is a hilarious photo idea and a great way to get the bride and the groomsmen in the photo together. This is definitely a funny and cute way to remember the day.